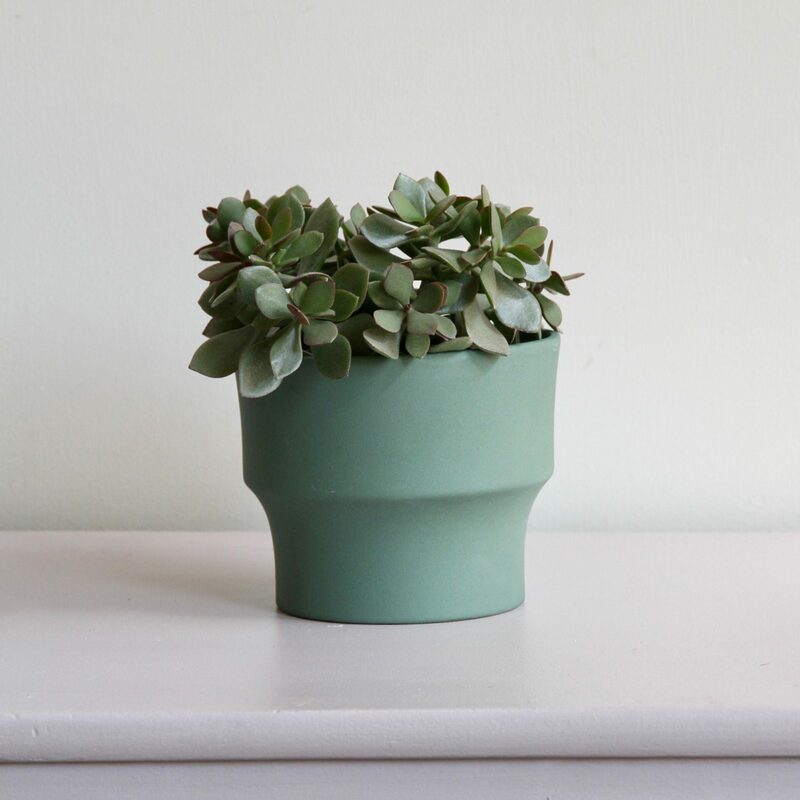 Large contemporary green stoneware plant pot. Multiples available. Plant not included.